Akins Doherty is a patent attorney whose practice focuses on all areas of intellectual property law, including patents, trademarks, copyrights, trade secrets, and intellectual property licensing. Mr. Doherty prepares and prosecutes patent applications relating to chemical compositions, biotechnology, business methods, and mechanical devices. His interests also center on international negotiation of oil and gas and hydrocarbons. 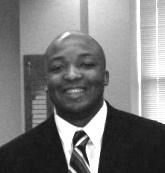 An astute lover of technology, Mr. Doherty received a BS in Chemistry from Columbus State University and, upon graduating, worked at the NASA Space Medicine and Life Sciences Research Center at the Morehouse School of Medicine, where he researched the relationship between Vitamin D and salt-sensitivity. He also worked at the biochemistry department at the Morehouse School of Medicine, where his research centered on identifying biomarkers that can be used to identify HIV patients who are predisposed to developing accelerated end-stage renal disease. Desiring to become a patent attorney, Mr. Doherty thereafter attended the University of Arkansas at Little Rock School of Law, where he received his Juris Doctor with a concentration in intellectual property law. There, Mr. Doherty was a member of the moot court board and competed in the 2011 Jerome Prince Evidence Competition in New York and in the 2009 Ben J. Altheimer Moot Court Tournament in Arkansas, where he was a finalist.